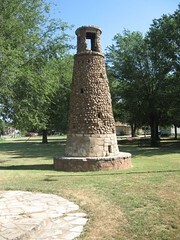 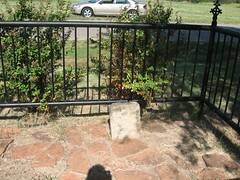 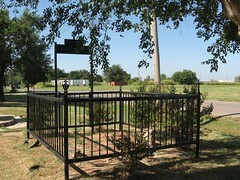 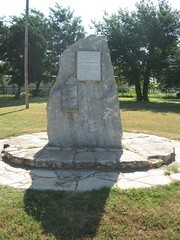 This marks the place on Chisholm Trail where during the Cheyenne and Arapaho Indian. 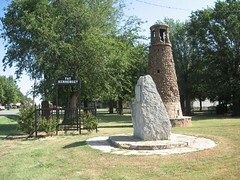 A government freighter, was massacred, July 4, 1876, by white outlaws, masked as Indians. 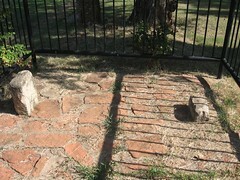 His grave lies nearby. 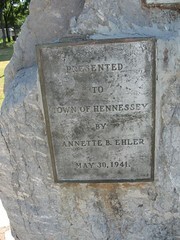 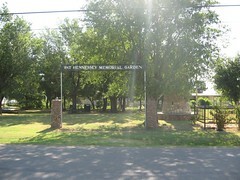 The town of Hennessey was named in his honor. 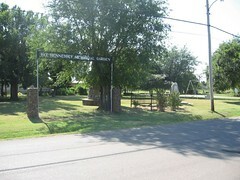 From US 81 turn left onto OK 51 go to North Arapaho Street turn south park should be on Left side of road.